Adam: Back from Cali. Boys. Friends. Family. Good time. Kyle: Holidays with the family. Things are good. 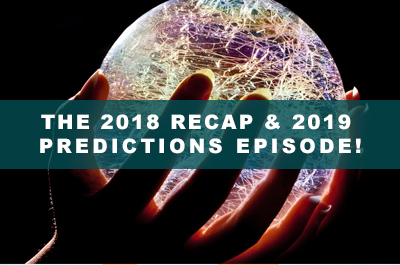 This week we recapped our 2018 Predictions and gave ours for 2019. For 2018, Kyle “won” 9 to 8.5 in the points. 9 people making a move that we both know. Speak at a non WP conference. Possibly for money! Take at least 2 vacations of more than 3 days each. another blessing? cat / dog / baby?